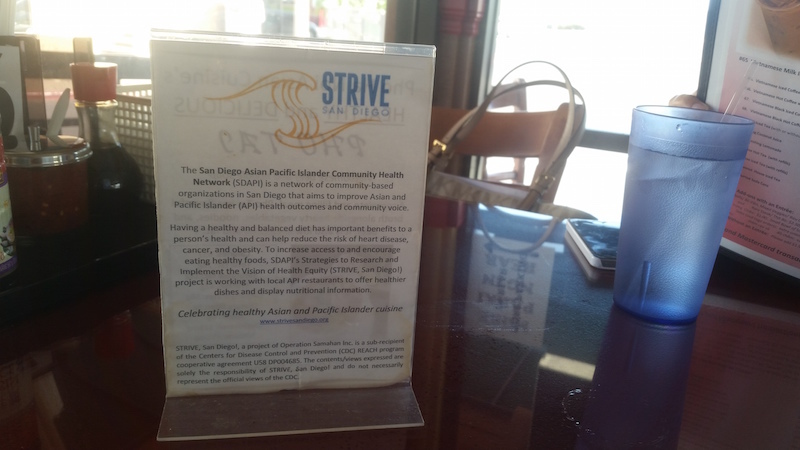 Partner Highlight: Pho Ha Noi – STRIVE, San Diego! Hello, Strivers! Today it is our delight to bring you a highlight on one of our STRIVE restaurant partners, Pho ha Noi. We sat down for a conversation with Thuan Phuang, the restaurant owner, and asked a few simple questions about his experience with STRIVE thus far. 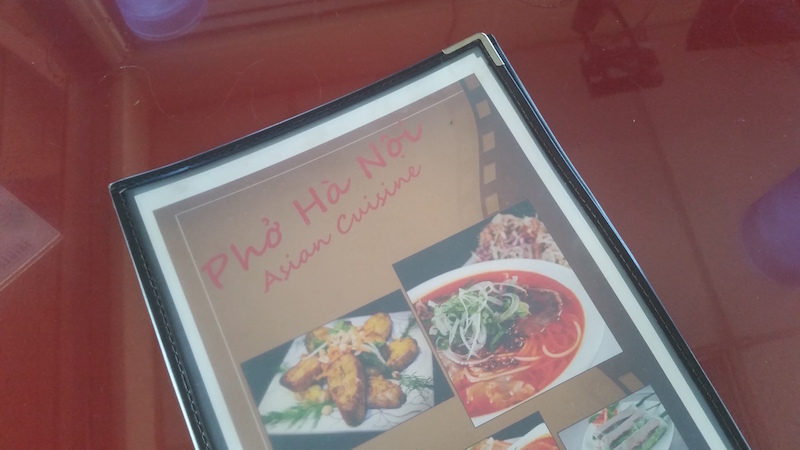 In 2012, Thuan opened Pho Ha Noi, a restaurant that specializes in authentic Vietnamese cuisine. As with any other business, the first three years were a rough start but Thuan reports to be doing well now! And much to our pleasure, joining STRIVE has helped in some significant ways. After all, it is our mission to work with local restaurant owners, like Thuan, to reach out to the community and promote our vision of healthy eating. We first asked Thuan: Tell us a little bit about yourself and how you first went into the restaurant business. To put it simply, Thuan’s passion for food stemmed from cooking for his family. He admits that even without much experience in restaurant ownership, his love for cooking for a big family inspired him to serve the public in the same way. With that said, you can bet his dishes are authentic! With a family-based restaurant, the most important thing for Thuan is flavor. From what we continue to learn, you don’t have to compromise good taste for good flavor. Though it may be a challenge, it can be done! “We want all the flavors to still be there,” Thuan agrees. Thuan works hard to cater to his customers. After consultations with the STRIVE team and our nutritionists, some of his menu items have been modified for better nutritional value. For example, in preparation for pho (a staple Vietnamese soup), Thuan and his team will manually extract the fat from the broth that was prepared the night before, so that it is ready to be served with healthier ingredient substitutions the next day! It’s a complicated process, but one that is worth it in the end. Reduced fat, healthier ingredients, same great and traditional taste—“that’s the whole point of opening this restaurant,” Thuan says. We then asked Thuan: What are some challenges you have faced with your customer base while working as a STRIVE partner? In the end, Thuan wants his customers to be satisfied with his healthy and modified dishes. It is his way of giving back to the community by giving people something that is both enjoyable and physically better for them! It is also our common goal, as STRIVE, to address the reality about certain Asian and Pacific Island dishes. When it comes to food, “Asian culture is a myth,” Thuan says, and we agree! Let’s continue to work together to reach clarity. Lastly, we asked Thuan: What made you jump on board to become a STRIVE partner, and what are some of the benefits you are seeing? Thuan says STRIVE’s values and ideals align with his. Before partnering with us, he often felt that only few understood the difference between what is already out there and what it is that he’s trying to achieve. In other words, he wants his customers and others to believe in the difference between traditional dishes and modified dishes. Small as they may seem, the little differences will go a long way. One of the biggest gains Thuan has acquired from being a STRIVE partner is the opportunity to work with many likeminded people. Through professional meet-ups and events, STRIVE has presented Thuan and his business a network of doctors, nutritionists, and other business owners and professionals who he can both learn from and share his ideas with. Thuan takes the education he’s getting seriously and projects these shared ideals to his restaurant. Pho Ha Noi now has “STRIVE-highlighted dishes” in its menu, and Thuan reports that sales for these items have gone up! Thuan has always had confidence in the quality of his products, and with the support from other STRIVE individuals, that confidence has been fortified. He’s a firm believer that there is always room for improvement. Not only does he want to improve his own business, Thuan wants to also reach out to others. “I’m hoping that other restaurants will catch on,” Thuan says. A true health advocate, he wants to be a living example of open-mindedness and bringing new ideas to the table—literally! Well thank you, Mr. Thuan Phuang! It’s been a pleasure working alongside you and your team up until this point. We’re happy to continue working with you in sharing our vision for healthier living. 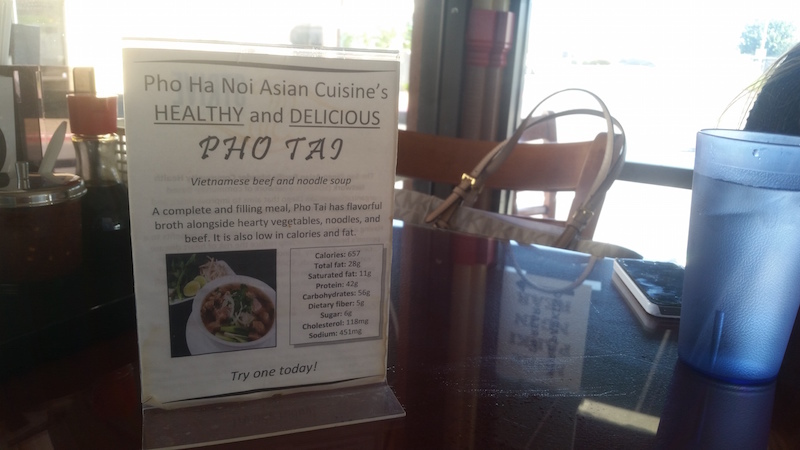 Strivers, if you haven’t already, be sure to check out Pho Ha Noi in Miramar when you get the chance! We highly recommend the pho or spicy beef salad. Until next time!